USING TANGLE TAMER: spray into hair, comb through tangles, then style…or even fashion hair into a pony tail. This works great with hair that already has our kids leave-in conditioner worked in. 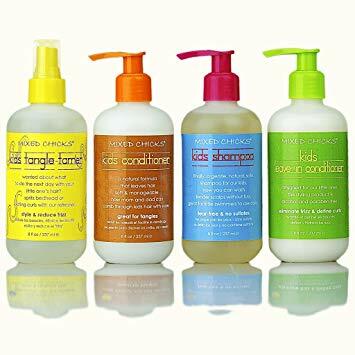 TANGLE TAMER USE ALT: for stubborn tangle-areas, while wet, spray a generous amount into hair along with our kids conditioner, comb through, then rinse.